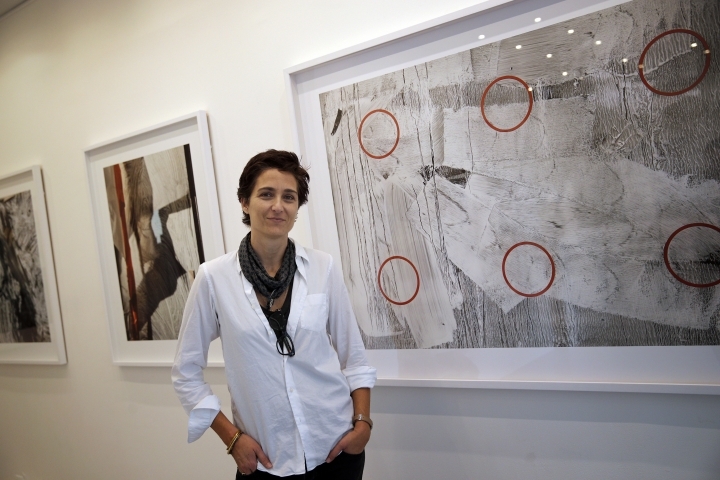 PARIS — The mass bombings, shootings and other extremist attacks that have anguished Paris inspired American photographer Alexandra Hedison to exhibit her art in the emotionally winded city. 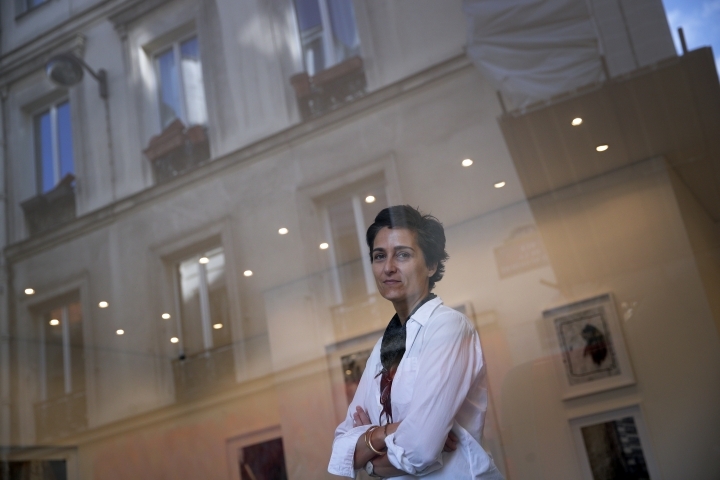 "I showed here because Paris deserved this work first....I owed Paris solidarity," Hedison said during an interview at H-Gallery, where a 24-piece exhibit that marks her Paris debut opened last month. The gallery lies a few hundred yards from the Bataclan concert hall, one of the sites of the Nov. 13, 2015 attacks that killed 130 people. Monday is the two-year anniversary. The choice of location for Hedison's show, entitled "The In Between," was not random. The down-to-earth former actress — better known to some as actress-director Jodie Foster's wife — said a gut "feeling" informed her that geographical proximity would be fitting for the work so charged by the tragic events. The show was four years in the making and coincides with this week's international Paris Photo fair. It doesn't address the bloodshed in a literal sense. The subjects are derelict or unused Parisian store windows covered in scratched paint with broken up reflections of Paris' architecture rippling on the surface. Her aim, Hedison said, was to evoke a city in emotional transition. 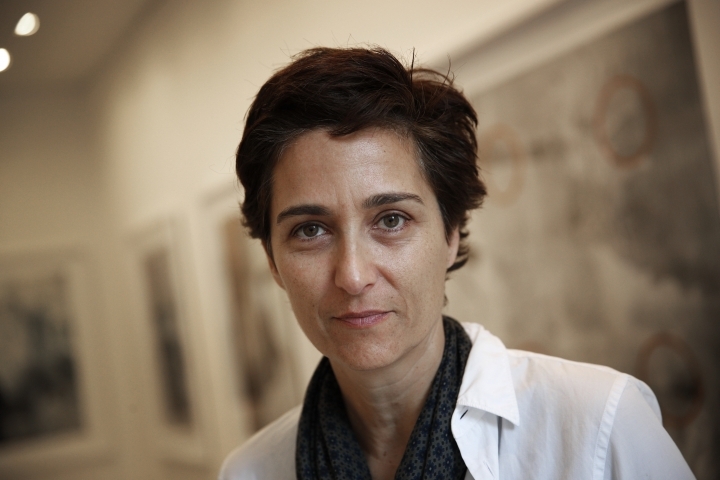 "My work is about transitional spaces — where we undergo a shift or change, and I felt very much that this city was shifting," she said, adding that she felt the "energy" shift over the years from one of depression to one of muted positivity — especially following the election this year of centrist President Emmanuel Macron. Hedison, 48, described the moment of the attack on satirical newspaper Charlie Hebdo and a Jewish supermarket in January 2015 as personally "devastating." She has loved and visited Paris regularly for years and feels "part of this city now." Hedison and fellow Francophile Foster, 54, married in a low-key ceremony in 2014 and live in Los Angeles. Foster discreetly attended the opening and events associated with the exhibit, including a cocktail reception Tuesday night for the Paris Photo fair. Low-key is a fitting description for the warm photographer, who is of Armenian descent and seems genuinely uncomfortable talking about her celebrity connections — including a former relationship with Ellen DeGeneres. She is working to find her own creative voice beyond the shadow of her famous marriage and steadily achieving independent success for her genre-defying art. Her current series — images of white swirls pock-marked with sharp scratches — abstract the subjects to the point that viewers frequently think they are viewing paintings. 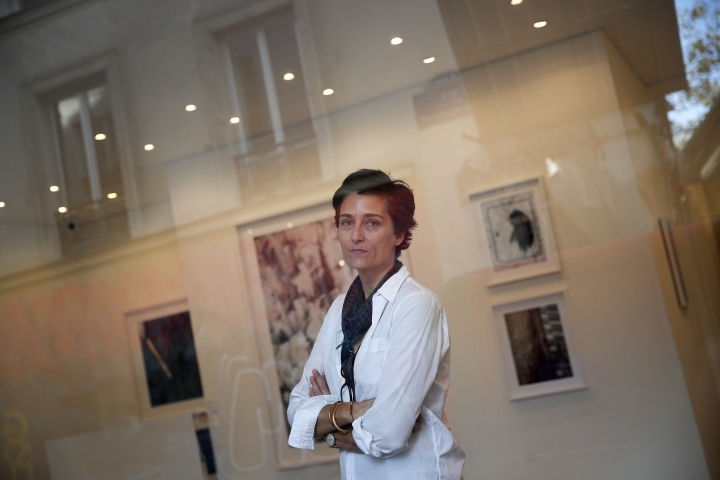 Bright-eyed and optimistic, Hedison said she wants audiences to take away from her pictures of urban emptiness a message of "hope" and "beauty" — a testament to the enduring spirit of Parisians amid the ongoing extremist attacks. "The resilience is amazing, and I think that people are just trying to be more tolerant. It's sort of an invitation to be more understanding and more loving," she said — suggesting a point of contrast with the United States. While Hedison plans to take the exhibit back to Los Angeles, she acknowledged she was "not excited to be going home" because of the "divisive" political climate surrounding President Donald Trump. "The In Between" runs at the H-Gallery until Nov. 25.